Placebrander AB: a Swedish place branding consultancy offering inspiration and knowledge through the Placebranders Day, the Placebrander of the Year initiative, a blog, trend reports, advisory services, presentations and seminars. Helena Nordström is the founder of Placebrander. TEDx-speaker and place branding expert. Already in 2004, she went to New York to study the branding of Sweden abroad. Have been the Marketing Manager of Destination Jönköping. Worked with around 40 places in Sweden, for example Södertälje, High Coast and Nässjö. 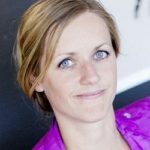 Connect with Helena Nordström via LinkedIn or read our interview with her here. Anna Österlund is partner of Placebrander and has her background within tourism. Experienced project leader who worked with influencer marketing, events and concepts for destinations and municipalities. Worked with clients such as Visit Sweden, Region Östergötland and Habo municipality. 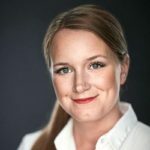 Connect with Anna Österlund via LinkedIn. Participate in Placebranders Day or compete in Placebrander of the Year which is arranged annually. Follow our blog (in Swedish). Our website is www.placebrander.se.